When we think about ourselves or a loved one becoming injured or ill and needing professional care, we'd like to envision a hospital or healthcare facility as a place that is welcoming, comforting and safe. In times that we're most vulnerable, we should be able to feel confident that the room we're in is located within a secure and organized environment. Visitor management. At the core of any hospital is the goal of creating an open environment that encourages healing and patient support. But this often means hundreds of ingress/egress points, varying levels of access and the possible exposure of patient data. Cybersecurity. The aforementioned personal data that hospitals obtain on a daily basis is unfortunately subject to breaches and cyber attacks, especially as the connected network continues to grow and become more complex. These facilities must also adhere to specific privacy laws and regulations, adding another layer to the mix of requirements. Variance. 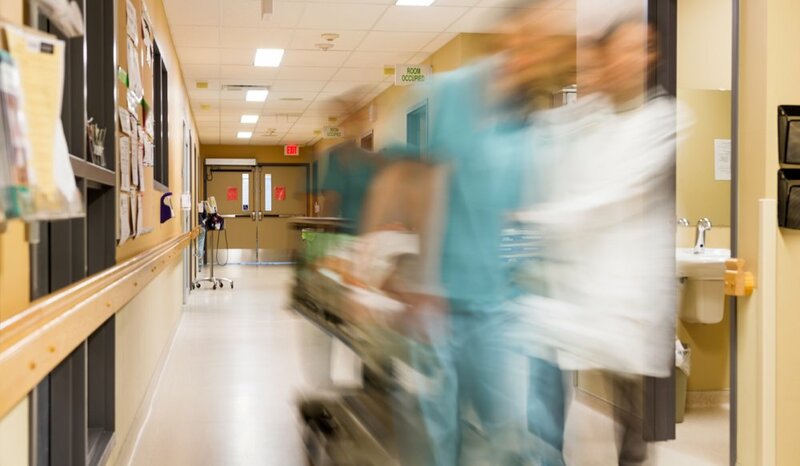 There are often many tasks and processes being performed in a hospital at one time; from controlling contagious diseases to restricting sensitive areas to rushing critical patients around, there's no doubt that the element of uncertainty can lead to chaos. To manage the risks that hospitals face and ensure a comprehensively protected atmosphere for patients and staff, security directors must look to implementing integrated and innovative security solutions. And one of the most important components of any system that's deployed is access control technology. 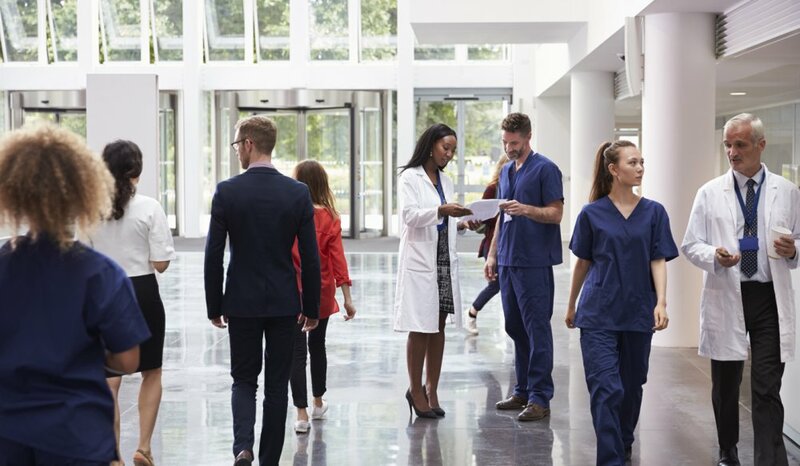 Utilizing an access control solution enables hospital security officials to break down the facility's overwhelming size into controllable, role-based zones that come together within one common platform. Access control encompasses not only main entrance doors, but also internal entrances and exits based on location and access level — meaning all methods for going in, out or throughout the facility can be actively monitored. Most importantly, hospitals demand a security system that can withstand the large volumes of traffic generated each day without disrupting critical functions. A traditional key-based system will struggle to keep up with this level of activity, but taking advantage of a more advanced solution, such as Vanderbilt ACT, can provide numerous benefits. In the event of an attempted unauthorized entry or emergency incident, it is paramount for hospital security officials to be able to control access quickly and efficiently. Access control systems allow these organizations to ensure security with the push of a button, as well as remotely and instantly obtain real-time monitoring, user management and administration. With the many moving parts hospitals must manage, scalability and flexibility are key to maintaining a secure facility. An access control solution can help security officials constantly adjust access rights based on numerous characteristics, such as areas of practice and likely working hours. Former employees can also immediately be removed from the system, eliminating the possibility of a threat. Different hallways, rooms, floors and waiting areas within a hospital require different amounts of restriction, and an access control system can make this process easy. Sensitive materials, such as narcotics or sterile environments, can be given added protection, and medical files or controlled substances can be protected with electronic access-controlled cabinet locks to create an audit trail in the case of a breach. 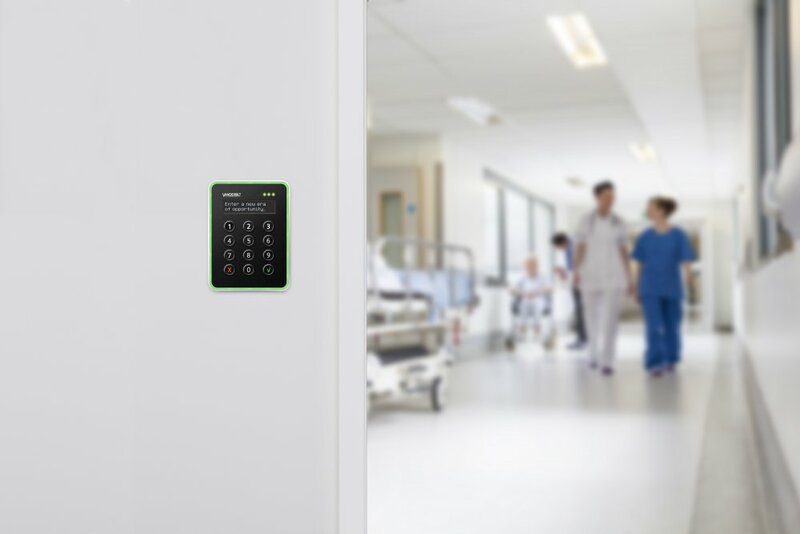 While access control is a crucial centerpiece of a hospital's security system, the ability to integrate additional components and products can create the strongest solution that facilitates complete protection. Incorporating video surveillance, for example, increases situational awareness and allows security administrators to evaluate a situation before it may become a threat, such as a door being forced open. The latest version of Vanderbilt’s ACT Enterprise access control software is an ideal solution to provide the aforementioned benefits to hospitals and healthcare facilities. ACT Enterprise has been designed with ease of installation and usage as primary goals, with scalability and simplicity key characteristics for enhanced efficiency and effectiveness. One of its newest features, the rules mapping engine, enables the advanced configuration of triggers, which can be actioned on events such as input and output change and card swipe outcomes across the access control system. In a hospital, an example of this functionality could include a card reader for doctor badges on the emergency room suite, which would send an alert to the ER team for immediate assistance. ACT Enterprise 2.8 also facilitates simplified integration with Vanderbilt’s SPC intrusion system, which enables hospital security personnel to view high-quality graphical maps on a single screen that shows all access and alarm points from both systems. This type of wireless integration solution makes system expansion flexible, without the disruption of maintenance teams closing corridors or priority areas of a hospital to run cabling or other installation equipment. As hospitals aim to balance contending with security challenges and establishing a place that provides a comfortable recovery and visitation options, adopting an integrated access control solution must be top-of-mind. Learn more about how the flexibility of Vanderbilt ACT allows healthcare facilities to easily manage public areas and permit access to restricted areas while preventing unauthorized access. IN STOCK NOW: Seismic Detectors designed for cost-sensitive applications. Examine why our solutions are always a solid investment for your future.